A football player from northern Saskatchewan is taking his talents to Regina. 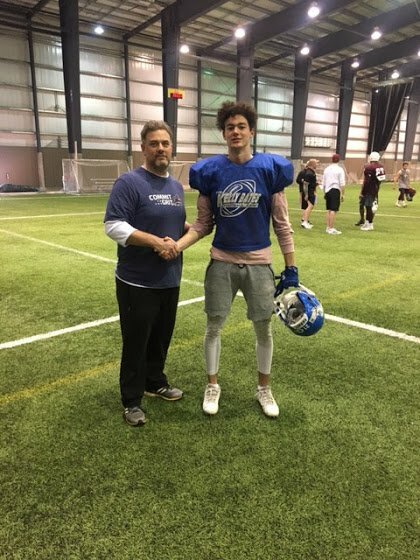 Defensive back Justin McKerracher of Air Ronge has signed with the Regina Thunder. The Thunder play in the Canadian Junior Football League. “We were excited to find Justin, us being in the southern half of the province, you don’t always get eyes up in the northern part for players,” said Scott MacAulay, the coach of the Regina Thunder. McKerracher played for the La Ronge Churchill Chargers. MacAulay believes there won’t be much of a transition period for McKerracher. “Normally when guys come to us out of high school, it probably takes at least a year or two before they actually see the field,” said MacAulay. McKerracher becomes the first player from the La Ronge Churchill Chargers to play for the Thunder.